Gooooooood evening, BB addicts!! :D Happy Thursday to y'all! Tonight, we will watch Aaryn get evicted from the BB house and then the rest of the houseguests (minus Elissa) will battle it out live for the title of HOH this week. Who will win? Who do you want to win? Tonight's HOH comp is bound to be a physical comp since the HG's have been on inside lockdown since yesterday + they all got athletic shoes to wear for tonight's comp. 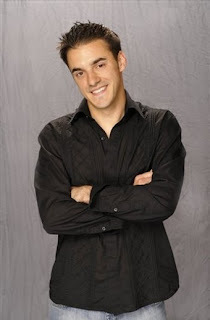 In other news, BB10 winner Dan Gheesling, will be on tonight's live eviction show to talk to Julie! Yayy!!! The player(s) that finish tonight's HOH comp will have to endure a punishment that America votes on. Tweet #BBchicken or #BBbunny to vote! BB Segment of Showmances. They showed Brendon/Rachel (married), Dani/Dominic (married) & Jeff/Jordan (still not engaged). HG's have to guide eggs with their fingers through their HOH signs which have chicken wire on it. The HG with the lowest score, has to wear a chicken suit for 48 hrs. Next Thursday is a Double Eviction! **Turn on the live feeds! The HOH Comp is still going on! it's in this post, the one you commented on lol ;) look under dan's pic hun. OMG...i am such a dork...been looking for about 40 min now. As a PS, your blog rocks since I cant keep up with a lot on my current work schedule! I love Dan but it's kind of a waste to have him on tonight. What the heck is he gonna even talk about? You've got 1 of the top 2 players of all time who's made a slew of the top 10 game moves in history on to talk about 1 of the worst crop of HGs who've barely made any game moves. U still haven't posted my comment about Amanda knowing the producer. Rachel and Brendon. I think I'm going to hurl. Then they had 3 interviews with past BB couples. Rachel and Brendon, Dani and Dominic, and Jeff and Jordan. You know I've wanted to see some of Rachel since getting to know a Elissa a little bit. I figured since maybe I kind of like Elissa I must have just misread Rachel...however, seeing her on the show tonight reminds me. I reeeeeeeally don't like Rachel. Lol Brian. SO TRUE! I didn't even bother watching tonight. Jamie keeps me well enough informed without having to watch Amanda or GinaMarie. @Fantasy: she does know the producer, so does Elissa. It's nice of CBS to bring in Aaryn's fan club to heckle her. Good for her that she kept her poise. Screw Julie Chen. Thanks Jamie. Y is no one talking about that? I mean don't you think this show could be rigged? WOW!!! The audiences response to seeing Aaryn and then all the talk of racism! Whoa! I was surprised they said so much! But hey, I'm glad they did. However, I don't think Aaryn even understands. What a shame. So jaime are they allower to have phone calls? And what do you think about the question someone asked about amanda self evicting because sh3 spoke with her parents and they told her about how she is being perceived and that her business has gone done the drain? Julie did a nice job interviewing Aaryn. @fantasy no, i don't think the show is rigged. wow - I'm actually surprised with how much was said to Aaryn! And the fact that someone couldn't keep from laughing - I think she cued in real quick that she needs to try to fix her image. Will be in for quite the surprise when she's out of the house. Hopefully she'll take the time to reflect in the jury and start to grow - and then continue after getting out and watching it back. It's a view of oneself most of us don't get. Hopefully she can learn from it. I'm so glad that Julie addressed Aaryn's ignorant comments! It makes me smile that she will be a nervous wreck waiting to get back home! I wish they would send a camera to film her finding out that she lost her agency!! @Brian seems my comments came to be true. I knew she would bring up what she (aaryn) said. Liked the response though. Aaryn using the Paula Deen defense: "That's how it's always been done". She's apologizing because she knows she's in trouble - not because she's remorseful. Sad. Aaryns excuse was she was from the South and Texas...pathetic. she is not sorry and now will be in full damage control mode and it will not be genuine. So glad Julie drilled her. She needs to own up to what she said. I missed what Julie said after the last commercial re: next weeks live eviction. Can someone fill me in? Another double eviction coming up!! Did I just say that?? Well, Judd sounds good too. But I don't trust Andy one stinking bit or Spencer. Thanks Jamie for providing the live link. The only way I could have watched it here. They brought a mix of bog brother fans. She for Cheers and boos. Julie Chen just brought up what aaryn said. Just because you likea player doesn't mean you should completely defy all logic to put them on a pedestal. With that being said, I still think you are a troll. Uummm, yeah ok.....So does anyone know if youre allowed to have phone calls???? Yeah, I live in Texas & not everybody is like Aaryn. Hopefully, she will see how ugly she looks when she says those kinds of things & she'll change. It is possible. I didn't like the response. When you dislike someone and male comments like that... it isn't joking... Also when you say it on live TV, when other people who "might be hard to see in the dark" you ate basically making that comment to them. Julie's approach with Aryan was a class act. She quoted aryans own words and didn't come from a place of judgment (though We know she was offended by some of Aryans comments). Aryan clearly got the message that her comments did not sit well with America and she will have plenty to answer for after this game. Expect to see aryan play really nice with Candice and Helen in the jury house (a la damage control). About how long does it usually take for the live feeds to come back on so we can watch the comp?! I finally got the feeds for the rest of the season. slnc: no, they are cut off from the outside world. no phone, internet, cable, nothing. Yeah. She pretty much did piss off Texans who watch BB, me included. What did julie and Dan talk about? Is it just me or are the feeds still not on? Any updates on the HOH competition? I also am from the big ole state of Texas...can't say that I agree with anything Aaryn said. However, I am white, and I hear racist remarks toward myself on a daily basis! Shoba, Julie said next week is a double eviction. Jamie, thank you for the link to watch live. Could not believe that both ABC & CBS was airing the Houston vs Dallas football game tonight. Aryan is full of it; I live in Texas and that is not how I or any of my friends joke around. Next weeks eviction is another double eviction. Also, Julie said something about a special comp would be played?? We wouldn't find out until Sunday though. feeds will most likely come back on around 10:45pm EST 'ish (if I had to guess). Thanks guys! OMG what do you think the chances of getting Mcrazy out! That would be AMAZING! And totally worth all the c**p we had to go through. Same here, Htown vs Cowboys EVERYWHERE. I believe the race stuff has got to stop. We are all human beings stuck on this one planet. People are people--there are good ones and bad ones and a whole range in between and they come in all colors. First off, as a newbie to BB, your blog has been a HUGE help in explaining things. For that, I thank you. And my main reason for posting - I am soo ready for the live feeds to come back up. I want to see this HOH comp!!!! Dan was asked a lot of questions about Amanda actually. Dan said he didn't understand why the houseguests have left a showmance in the game for so long. Dan believes that Amanda is honestly a bad person in everyday life and she isn't just playing a game. Dan is rooting for Judd. Which then brought on a segment with past BB couples Brenchel, Dani & Dom, and Jeff & Jordan. Thank you Jamie for the link to see the show live. In OH CBS is showing football too!! Love the blog. Thanks for all you do! I think Amanda also needs to be called out for some of the things she's said. But I suspect she won't care. I Hope Judd or GM win the HOH --for some reason I don't think Andy or Spencer have the guts to nominate McManda. I also hope Elissa stays safe for a few more weeks... This season would be super dull without her. Jamie - LOVE the blog! Thank you so much for posting the link for viewing tonight's episode, it got booted for football here. I was really starting to (sort of) root for Aaryn and thought maybe she was changing. But, during her interview with Julie she once again proved to not have the ability to take ownership for her own actions. The "Blame it on Texas" defense doesn't work for me. I truly hope she does watch all of the episodes and is ashamed enough of her behavior to prompt a real change. I'm hoping Judd pulls out a win tonight, or GM. I cannot believe I'm rooting for GM - but I want to see Amanda gone that badly. I'm so tired of hearing people say she's "playing the game." She is a self-righteous, hypocritical brat and all-around nasty person. She would be "playing the game" if she were at least consistent. If you want to be a villain - go for it. But she bullies people and then cries at the first sign of someone calling her on her BS or not getting her way. She's even made me dislike McCrae. Thanks Jamie for the link to the live show. In OH they are showing football too. Love the blog. Thanks for all that you do!! GM has won, but is apparently already colluding with Amanda to evict Elissa. Grrrrrr. Someone grow a backbone in this game already! Jesus! Feeds are back and I believe GM is HoH?!?!!!?? So who the one wear the chickhen suit? No, that's why I originally asked. It was all over a BB FB page yet no one would explain. Who the one wearing the chicken suit. But again, thank you thank you for all you do. I can't subscribe to the feeds due to little kids here at home that need my attention, so it is nice to pop on and read all about it here. Can't wait to hear who wins HOH tonight. Thanks again from Nebraska!! Up here in NY we were stuck with a Jets game. If it was gonna be interrupted it could have at least been the Giants. Not that I like them, I'm a Cowboys fan! But the Giants are more worth while to watch. I don't necessarily like her, I said kind of like her lol. Out of the people left in the house, I am team Judd. I still have my negatives toward her, its just that my negatives for her are less than my negatives toward other people in the house. However, it irks me that she likes to complain when she doesn't get what she wants. It really blew my mind when I found out she has step children whom she NEVER mentions. That really got under my skin. I would probably defend Elissa if someone were really saying unnecessary things but I can think of a few things I'd like to scream at her for myself. Uhm, so I think you and I just became BB minority best friends! Julie did go a little harder than I thought she would reading the quotes and she definitely pushed the boundaries she sets for herself of not revealing anything about perceptions in the outside world with her being a juror. But for the most part I feel I was pretty dead on as well. I said Aryan would come out and they'd put the applause sign on and the crowd would cheer which they did with maybe 2 or 3 hecklers at the end. Julie would talk mostly about the game and then ask a question about how comments she made earlier in the season were viewed as racist by many of the fellow HGs which she did. And then I said Aryan would make excuses about certain things being taken out of context and assumptions cause she's from the south which she did. I just didn't see Julie pushing it that next step of reading a selection of quotes with her being a juror and all. Though I'm glad she did and her denying saying them was hilarious and so glad the crowd LOL'd at her as I did at home. Still would've loved to have seen it without the constraints of going to jury though as it would've been 10x tougher of an interview. They wouldn't have needed the Dan and past showmances filler as half the show could've been Aryan's exit interview. Haha. Instead of Julie reading a few things they could've had a whole video montage cued up for her to watch in front of America. That would've been a lot harder to deny saying those things or talk about out of context. GM won HOH and Judd and Spencer have to wear the chicken suits. GM told Judd and Elissa she is going after McCranda...yay!!! I'm sure the misspellings aren't always intentional as I've seen McCray, Alyssa, Candace, Erin etc instead of McCrae, Elissa, Candice, & Aaryn. It's bound to happen when a name is spelled differently than the typical way. I swear that Idiot Aaryan has Diarhea of the Mouth! She just never knows when to STHU!!! Go Away and take your Creepy Clown with You!!! And Jen Broughton, I couldn't have said it better myself! I used to want McCrae to win, thought he was in the best spot in the house, playing low, has a shield in Amanda. He is still sitting real pretty, but if he wins he is gonna blow all that money on Amanda, and screw that!! She doesn't deserve sh@#! Aaryn doesn't get it at all...is she serious? in Texas it's like that? What a loser! denying that she said anything, when JC specifically said these are your quotes! the audience was actually nicer than I thought they would be. She shouldn't blame a state she needs to take responsibilty, what an immature brat! I think Aaryn is clueless in regards to her comments throughout the show. Props to Julie for putting her on the spot like that. Sadly, I think Aaryn honestly believes she hasn't done anything wrong because she was raised in an environment where that's par for the course and it's all she's ever known. GM won and her target is McrAnda...way to go!